Jason-1 is a follow-on altimetric mission to the very successful TOPEX/Poseidon mission. It is a joint mission between NASA and CNES (French space agency). It launched 7 December 2001 and began data collection on 15 January 2002. 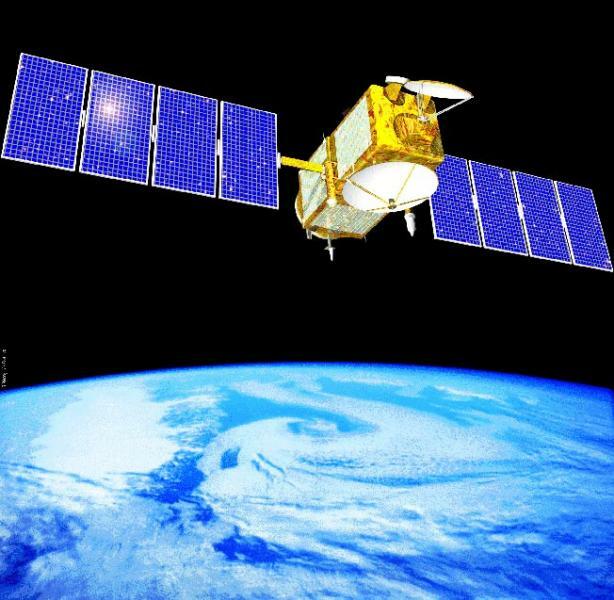 Jason-1 is capable of measuring significant wave height, sigma naught (sigma0), dry and wet troposphere and ionosphere, which can be used to calculate sea surface height and anomalies and total electron content. Jason-1 had a repeat period of approximately 10 days with 254 passes per cycle. After the launch of OSTM/Jason-2 on 20 June 2008 and several successful months of data collection, Jason-1 was moved to a new interleaved orbit in relation to OSTM. Originally they were in tandem. Jason-1 began maneuvering to the new orbit 26 January 2009 (cycle 260) and the altimeter was placed in standby, i.e. no altimeter data collection. 10 February 2009 the altimeter was turned back on, but Jason-1 was still maneuvering to the new orbit. The maneuver was completed 14 February 2009 and cycle 263 was the first complete cycle for the new orbit. After experiencing multiple safeholds, in February and March of 2012, it was decided by the project that Jason-1 should enter into a new orbit that was more conducive for geodetic studies. The basis for this decision was to ensure the safety of the orbit that is used by OSTM/Jason-2 and future missions, such as Jason-3 and Jason-CS. This new orbit provides an opportunity to study the marine geodetic field in more detail. The geodetic mission began 7 May 2012 at cycle 500. The regular Jason-1 mission ended with cycle 374 pass 173 on 3 March 2012. It now takes Jason-1 406 days to complete a cycle, but the data have been separated into 11 days sub-cycles, as supposed to the 10 days cycle in the previous orbit. There are now 140 revolutions or 280 passes per 11 days cycle. Since the 11 days cycle is really a sub-cycle there will not be a co-located repeat of the same numbered passes as in the previous orbit, i.e. cycle 500 pass 10 is not located over the same area as cycle 501 pass 10. Contact was lost with the Jason-1 spacecraft on 21 June 2013 and decommissioned on 1 July 2013. JMR – Jason-1 Microwave Radiometer measures the 18.7 GHz, 23.8 GHz and 34.0 GHz sea surface microwave brightness temperatures. The 18.7 GHz channel provides the wind induced effects in the sea surface background emissions correction. The 23.8 GHz channel measures water vapor. The 34.0 GHz channel measures the cloud liquid water to be corrected. All together the three frequencies provide the error in the satellite range measurement caused by pulse delay due to water vapor. TRSR – Turbo Rogue Space Receiver is a type of GPS receiver. It provides supplementary position data to support the POD function and to improve gravity field models. However the TRSR has degraded in performance since April 2009. There is no major impact to the mission, but be aware of this if you are expressly using the GPS data from Jason-1. Text in green refers to the Geodetic mission, cycle 500 and onward. Additional information about instruments, orbit or other properties of Jason-1 can be found in the Handbook. Additional information about the geodetic orbit can be found in the technical note.